Considering a career as a family and consumer sciences educator? 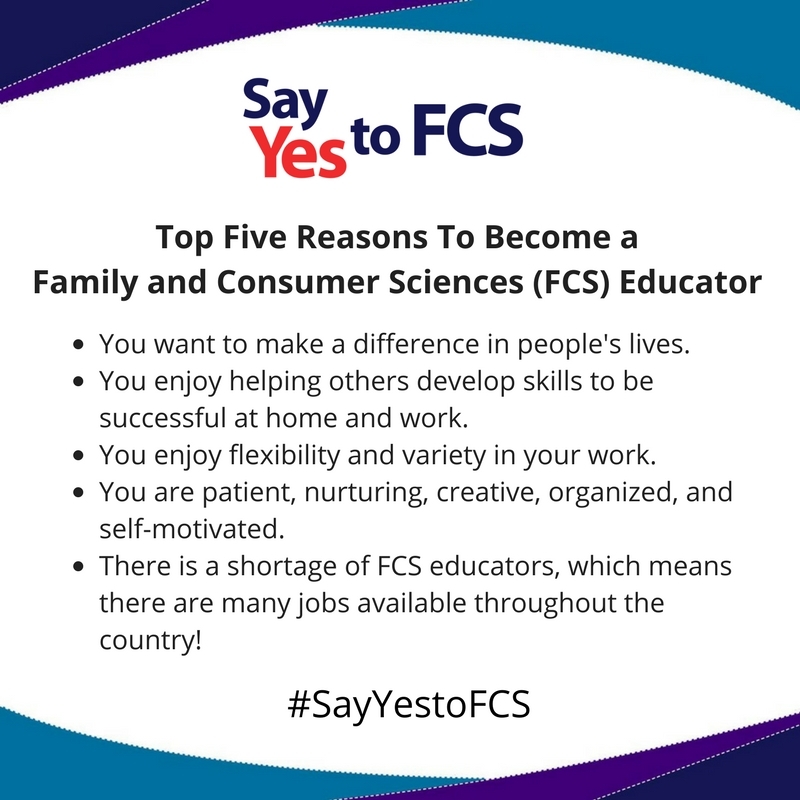 FCS Educator Career Fact Sheet - One-page fact sheet for a student who is considering a career in family and consumer sciences education. FCS Careers Brochure - Detailed information about family and consumer sciences career options. FCS Education State Websites - Find out state specific teaching requirements. 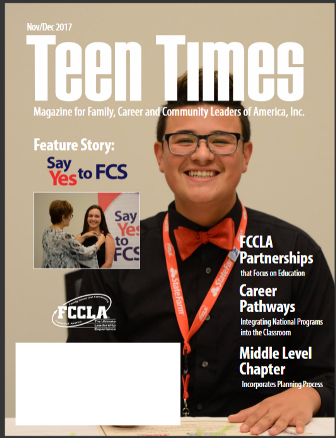 Check out the November/December issue of FCCLA's Teen Times with special focus on "Say Yes to FCS"! Click on the cover image to read more!